If you’re not already marketing your practice on social media, it’s time to consider it. After all, both your current and prospective patients are likely spending a great deal of time on popular sites like Facebook and Twitter every day. 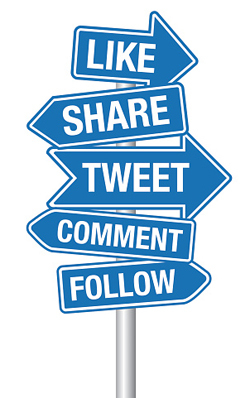 Let us help you unlock the benefits that social media holds for your dental practice. Don’t have social media profiles for your practice yet? Don’t worry. As a Premium client, we’ll set up your profile pages for you and add custom branding for today’s most popular social media outlets – Facebook, Twitter, Google Plus, and YouTube. And Standard service clients can add on custom social media branding to their service at any time. You can rest easy knowing that your new profiles will match the look of your beautifully designed website with custom graphics, will provide important practice information, and will appeal to your new and existing patients. In addition to profile set up and custom branding, our premium clients receive the added bonus of social media posts. Each and every time a new blog post goes live on your website, we’ll share it with your following on Facebook and Twitter so that you don’t have to. This helps to ensure that your profiles stay relevant, up to date, and provide unique and engaging content to your fans. Interested in learning more about how the power of social media can benefit your dental practice? Contact us today!